You can fish for Flounder using a rod and real but my favorite way to go Flounder fishing is to go gigging for them at night. 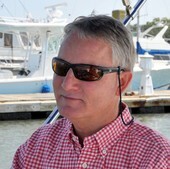 The waters around Hilton Head are full of Flounder in the spring through fall months. In the winter they move off into deeper waters offshore. Using a light mounted on my boat and a small generator I can light up the water enough to see the bottom along the shallows and spot not only Flounder but also Redfish and Sheepshead. Usually the best time to start gigging is a couple of hours before low tide and fish through the incoming tide as much as you want. I have friends who say they have caught a lot of fish at high tide but my best catches have been at low tide. 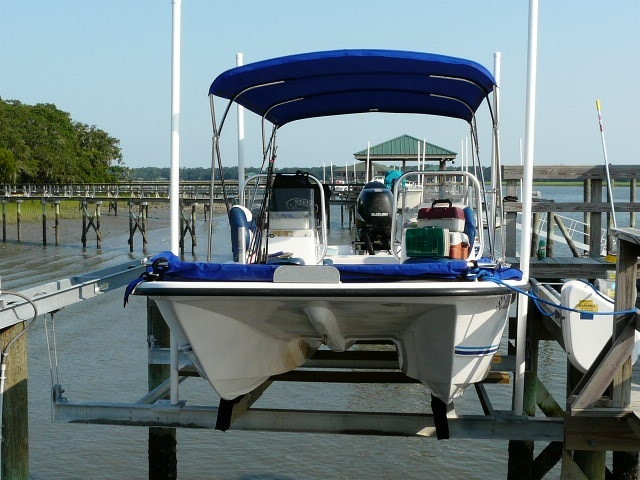 There are numerous good Flounder fishing areas around Hilton Head and the water is more clear in the spring and fall months. The winds needs to be calm for gigging and the moon needs to be on the other side of the planet. It seems the fish do no like to get up into shallow water when the moon is out too much. So get out on the water and try the Flounder fishing whether you fish from a bridge, river bank or can go by boat. The fish are out there. The best bait for Flounder is usually live bait in the form of shrimp or mud minnows and they are most often caught on the bottom. 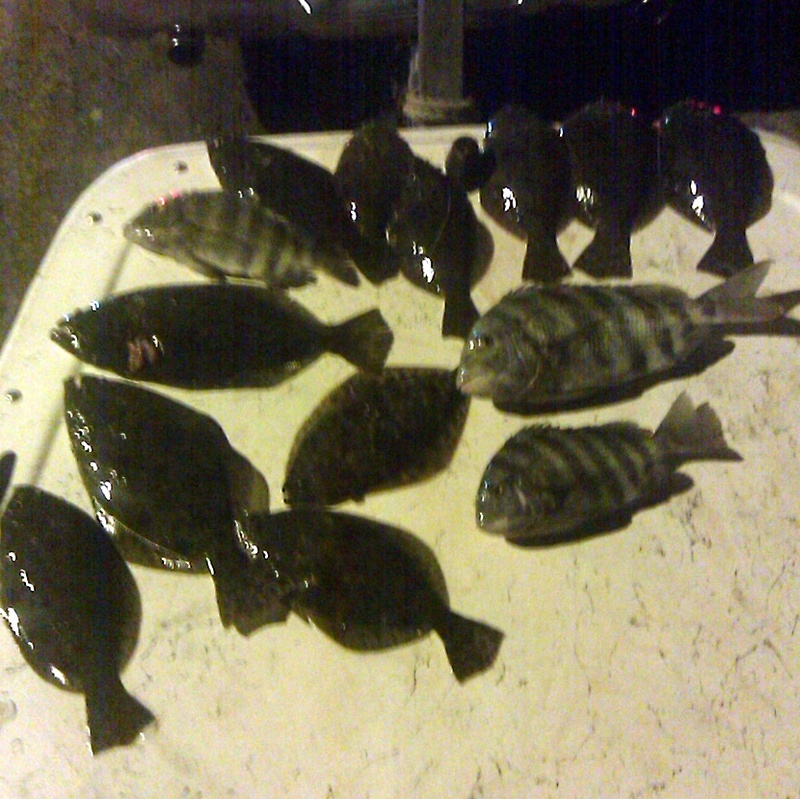 The limit is 20 flounder per person per day. If you are fishing using a rod and reel you might try the mouth of small creeks and especially where there are oyster banks with a mix of live shell and dead shell.